Take advantage of our most convenient Lockout series that makes record-keeping a snap. Highly visible, and easy to use, these tags give you the freedom to leave part of the tag on equipment and take part of it for your records. 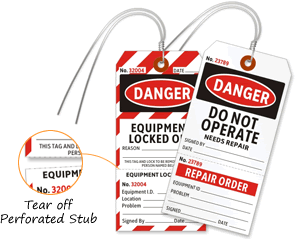 • Two part safety lockout tags feature a perforated edge to tear off the bottom stub (with identical numbering.) for record keeping. Make a simple job better with a two-part tag that works harder for you. 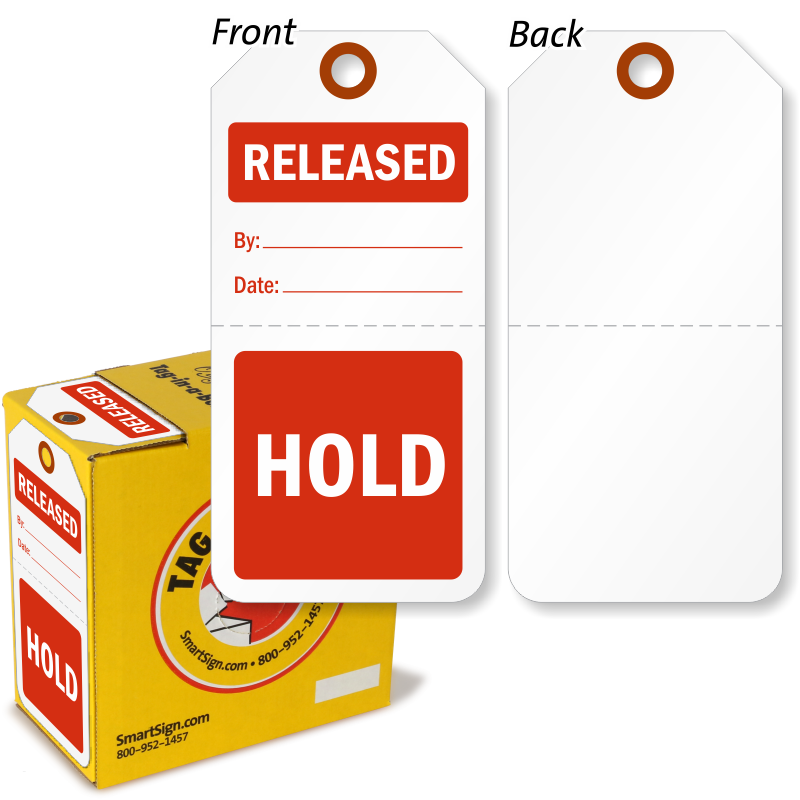 • Lockout tags are made from heavy duty cardstock and can be written on with a pen, pencil or marker. 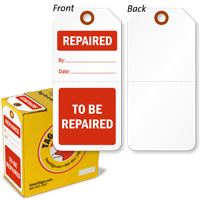 • A reinforced eyelet and a write-on surface make these tags great for durable use on-the-job. Color-code inventory with multi-part tags. Write using pen/pencil/marker. Tear off bottom stub to keep records. The bottom part of each of these tags can be torn off. This is great for your office or recordkeeping. 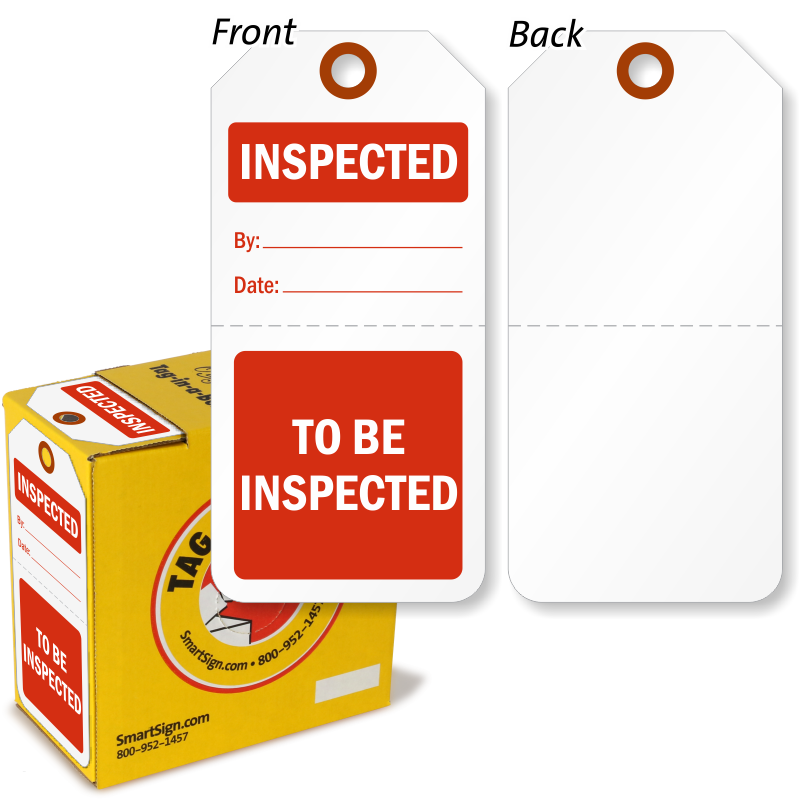 Tags (and tear off stub) are consecutively numbered.